Vintage is fashionable these days! 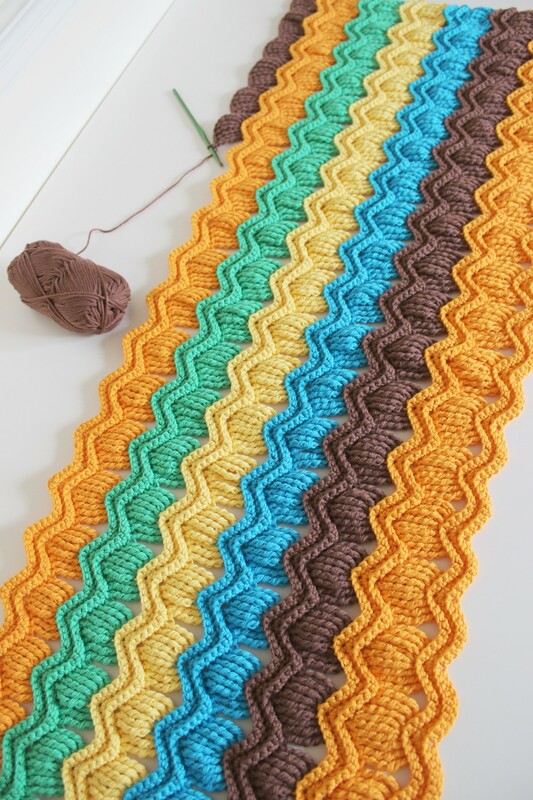 I love the color choices in this crochet vintage fan ripple blanket made by Chiaki of Chiaki Creates! The pattern used for this gorgeous blanket is crochet Vintage Fan Ripple Stitch Pattern by Janis Cortese. I personally like the afghan better when is made in more colors, I think is more fun and more visually appealing. If you need more help with this stitch, here is a great photo tutorial. Here is a video tutorial which you may find useful to see things done. This is so pretty. Was looking for some thing new and different to do. Please send me the Vintage Fan Ripple Stitch pattern book. Trying to download vintage fan ripple stitch afghan with no luck. What am I doing wrong? Thank You!! Mia, please click the link in the words: “Vintage Fan Ripple Stitch Pattern”. Hope this helps! Wish I could crochet like this will have to practise. Does anyone know if you are making a good sized lap blanket, how much yarn it would take? I like to buy the yarn ahead of time and don’t know how much to buy. Loved this pattern. But it’s a yarn eater!